Mizner Falls is an active adult community located in the heart of Boynton Beach in central Palm Beach County, Florida. This gated community has a serene atmosphere. Tropical landscaping and flowing waterfalls create a beautiful setting. Mizner Falls is an upscale community with gorgeous Tuscan-style homes and is meticulously maintained. Although Mizner Falls is a small community, the clubhouse offers resort-style amenities and the residents are very active. Local shopping centers, the Boynton Beach Mall, fine dining, community centers, and the beach are only a short drive away from Mizner Falls. When residents want to venture outside their community, I-95 and the Florida Turnpike give easy access to other destinations. The elegant 10,000 square-foot clubhouse at Mizner Falls offers everything residents could desire. It contains a well-appointed fitness center that allows residents to stay in shape. After a healthy workout with high quality equipment, homeowners can enjoy a favorite book at the library. Arts and crafts enthusiasts as well as card players have activity rooms available to pursue their interests. A large ballroom with stage is used for many scheduled social events throughout the year. Outdoor amenities are sure to please residents as well. They can relax in the luxurious resort-style pool and spa. They can also lounge on the patio to catch some Florida sun. Tennis lovers will also find some friendly competition on two Har-Tru tennis courts. The community has plenty of walking and biking trails that offer great views of scenic lakes and ponds. Construction of Mizner Falls at Boynton Beach started in 2002 and ended in 2004, when all 228 homes were completed by Puder Seigel Homes. Houses are currently available on a resale-only basis. Mizner Falls is mostly comprised of ranch homes, but some two-story residences are available. All residences in this 55 and over community are single-family homes, and some of them feature lake views. Homes in Mizner Falls contain two to four bedrooms, two to three bathrooms, and an attached two-car garage. They range in size from 1,900 to over 3,000 square feet. All residences come with large screened-in porch areas and some have dens. Residents in this upscale community enjoy the ultimate Florida lifestyle. 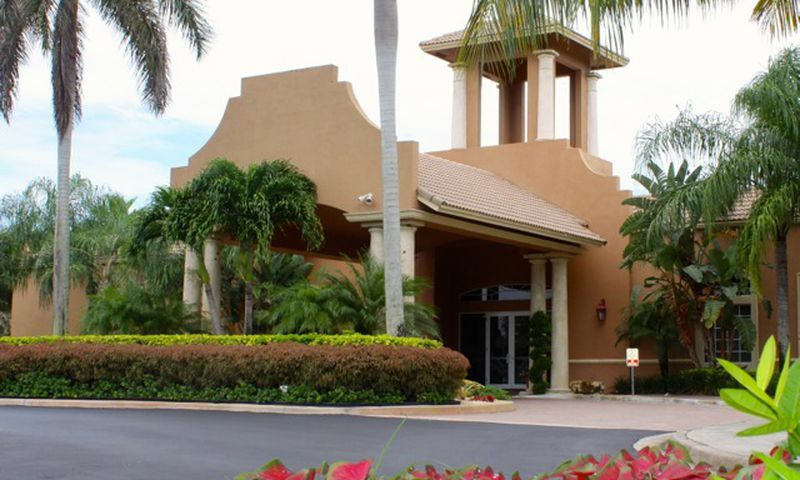 Because of its small size, Mizner Falls offers an intimate atmosphere with very cordial neighbors and management. It is very easy to stay active and make friends in this tight-knit community. A full-time activities director schedules many social activities and events throughout the year. Residents also have established a variety of clubs, such as tennis, billiards, books, Club Italia, and Club 18. There are also separate men and women's groups, which meet on a regular basis. Not only does Boynton Beach, Florida have upscale stores, fine restaurants, and malls; it also offers many opportunities for outdoor recreation. Water enthusiasts can enjoy fishing and diving, especially at Boynton Inlet. For nature lovers, Mangrove Nature Park and the Arthur R. Marshall Loxahatchee National Wildlife Refuge are some great destinations. Mizner Falls is also just a short drive away from the beach. With a variety of oceanfront parks, an assortment of recreational areas, 47 miles of beaches, and miles of bike trails, all of Palm Beach County also offers plenty to do outdoors. West Palm Beach and the airport are only 20 miles away. The West Palm Beach area offers great cultural attractions for the whole family, such as: Palm Beach Dramaworks, Rapids Waterpark, Palm Beach Zoo, and the South Florida Science museum. Miami with many opportunities for upscale shopping, dining, and cultural enjoyment is just one hour's drive away. Mizner Falls in Boynton Beach is a great active adult community with plenty of things to do in and around the area. There are plenty of activities available in Mizner Falls. Here is a sample of some of the clubs, activities and classes offered here. Homes in Mizner Falls contain two to four bedrooms, two to three bathrooms, and an attached two-car garage. They range in size from 1,900 to over 3,000 square feet. All residences come with large screened-in porch areas and some have dens. Please Note: Not all floor plans are shown below. My wife and I moved here in 2008 and been loving it ever since. We've met a lot of nice people here and know many of our neighbors very well. It's nice to have people who will help out like picking up our mail when we're out of town or watering our plants while we're away for a weekend. Now that we are both completely retired we wish there were a few more amenities here, but overall it has everything we need. We golf a lot around town and go out to dinner probably more than we should! 55places.com is not affiliated with the developer(s) or homeowners association of Mizner Falls. The information you submit is distributed to a 55places.com Partner Agent, who is a licensed real estate agent. The information regarding Mizner Falls has not been verified or approved by the developer or homeowners association. Please verify all information prior to purchasing. 55places.com is not responsible for any errors regarding the information displayed on this website.